If you are a bubble tea fanatic like me, the sight of caramel coloured milk tea with suspended black pearls probably evokes a strong sense of desire. 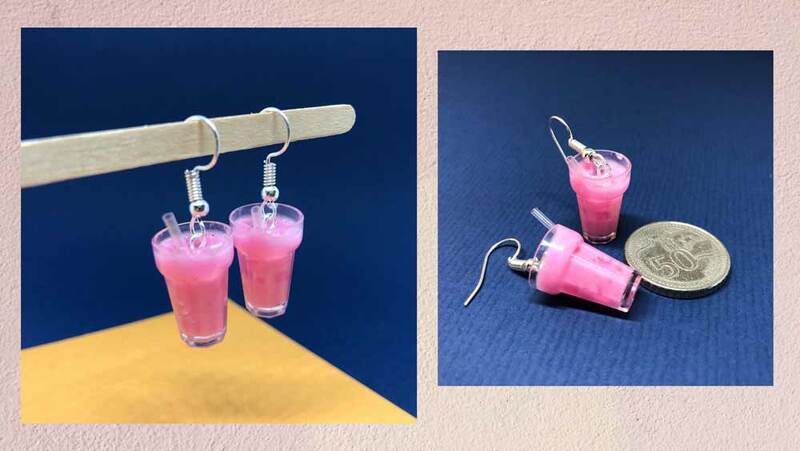 Sisters Karyl and Kelly Tan of Klay.sg have crystallised Singaporeans’ obsession with the drink in the form of earrings. 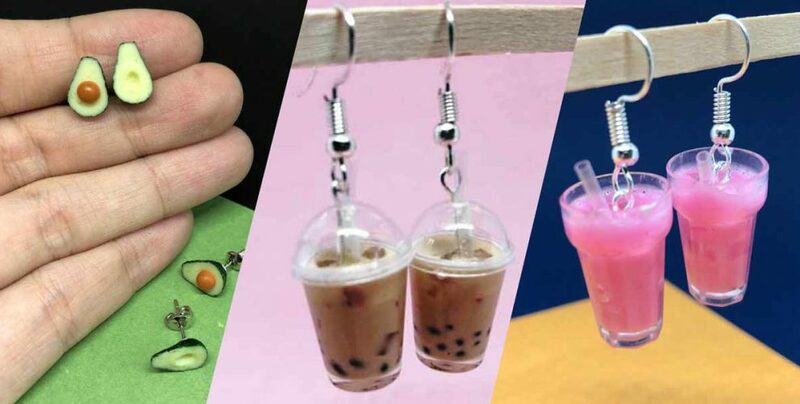 Unfortunately, the popular bubble tea earrings are currently sold out. But I caught up with them to see what they are working on and how you can grab their next batch of earrings. 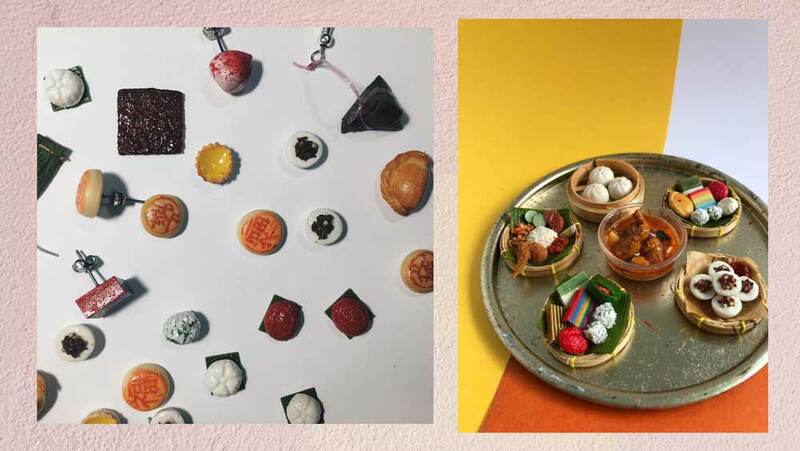 Inspired by their aunt who loves collecting and making miniatures, the sisters thought it was a waste these items could only be appreciated in display shelves. 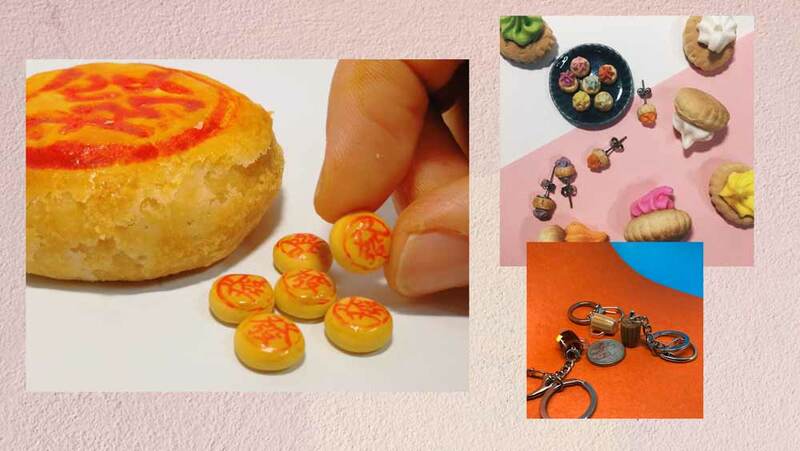 Hence, they turned the tiny masterpieces into wearables. Older sister Karyl graduated from the Glasgow School of Arts (SIT) and younger sister Kelly is currently in Temasek Polytechnic School of Humanities and Social Sciences. I asked them about a food that evoked emotion in them. Both said it would be dumplings (bazhang) consumed during the Dragon Boat Festival. Their grandmother wraps dumplings for their family and cleans the leaves used in the wrapping so they can repurpose them for earrings. Karyl’s favourite kopitiam drinks are teh peng and Coke-Zero and Kelly loves teh peng and iced lemon tea, but it must be home brewed and not made from syrup. I can relate. Here’s a look at some of the new products Klay.sg is releasing soon. 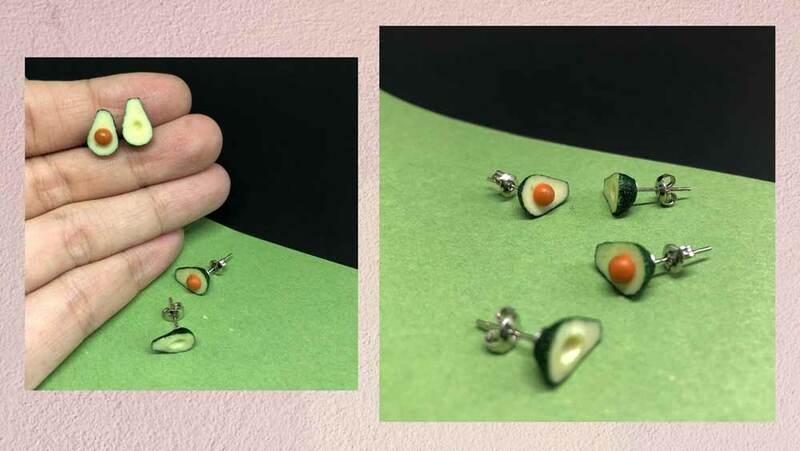 Avocado studs, good for the heart. Bandung earrings, look at how tiny they are and the detailing involved. 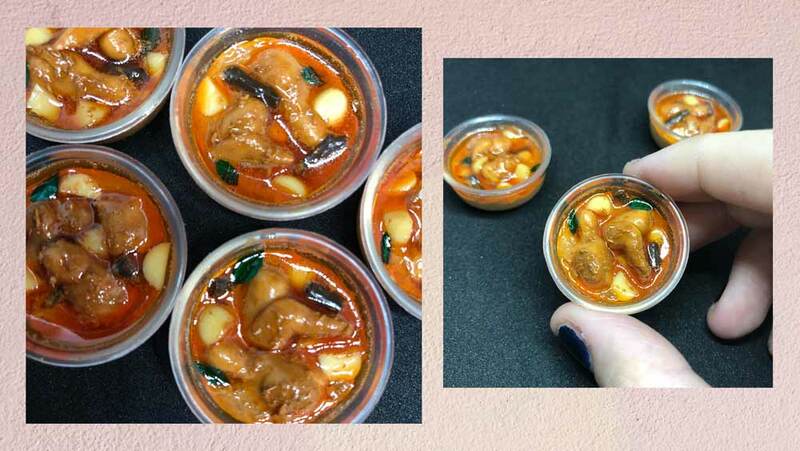 Curry chicken miniatures good enough to eat. 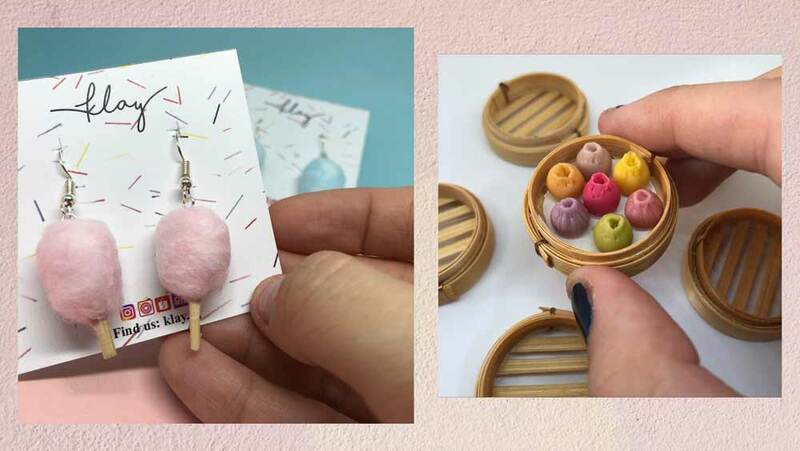 Cotton candy earrings and xiao long bao miniatures. Cheaper than a meal at Paradise Dynasty. If you want to snag these hella cute earrings, check the Klay.sg Instagram page for restock updates. DM them to order, fastest fingers first. “Alternatively, they will be able to get their hands on them at our upcoming Public Garden booth during 8 and 9 December 2018!” Karyl replied.